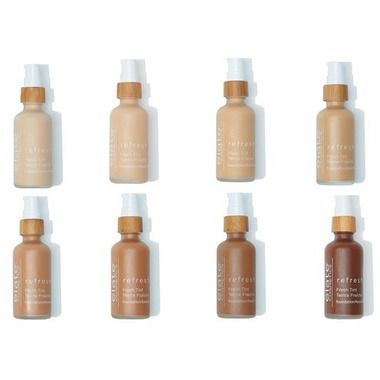 Made with argan and coconut oils, the Elate Clean Cosmetics Fresh Tint skin loving, light coverage foundation will even out your skin tone, and leave your face feeling fresh and hydrated. Bamboo extract and bentonite clay help prevent irritation, while zinc oxide provides natural sun protection. RW1 - light skin tones. RN2 - light to medium skin tones. RW4 - medium to deep skin tones. RW6 - deep skin tones. RN3 - neutral undertones, light skin tones. 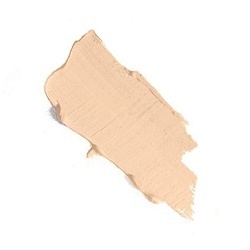 RN5 - neutral undertones, medium skin tones. RN7 - neutral undertones, deep tones. This product performs as a tinted moisturizer and appears to have the same level of coverage as a tinted sunscreen I already use. I enjoy the healthy ingredients and Canadian made status yet cannot repurchase until the dispenser is changed. The product squirts out with so much force, I routinely need to clean it off my bathroom walls, towels, countertop and my clothes. Nice product if your skin is decent to begin with... 4 stars because it does well on my sensitive skin, but very light coverage. You'll need to use a concealer to cover any actual imperfections. Feels very light on the skin but does a great job of covering up imperfections and makes your skin look pretty flawless! I do need to put oil underneath because it dries out my skin a little bit. Love the ingredients and this Canadian company! This is the best light foundation I have ever used. It covers all the little skin flaws but feels light on the face. And it isn't tested on animals, which is for me a great bonus. I ordered this foundation as I was looking for something for winter months without sunscreen. It was just what I was looking for. It goes on quite sheer which I like. This product has no scent which I also like and there are no issues with my sensitive skin. I ordered the Bare tone which is a great match for my fair complexion. Will definitely order again. I like it because it has good ingredients, but I wish to have more coverage. I like that this has all the good ingredients in it. this product is very light coverage and does not build so great for light make up days.Only gave it 4 because it dries so fast you have to spread quick and I do wish it had a bit of sun protection. Lovely feel. Gives face a great but light cover evening out my skintone. Easy to apply. This is a nice light coverage foundation. Not drying, not oily, feels very natural on the skin. Absolutely love this foundation! It goes on so smooth, a little goes a long way and it is moisturizing. It is definitely light coverage, so if you're going for a natural, barely there look, this is the one.